Indrė Jurgelevičiūtė & Solo Cissokho at the Music Tastes Good Festival (Long Beach, California). Photo: Mike Amico. 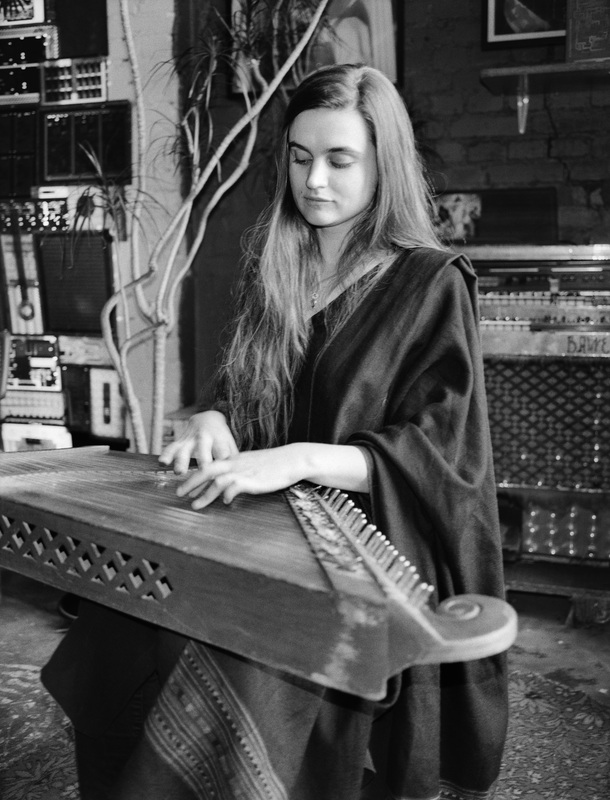 The guests of the Lithuanian Day, to be held on December 7, 2017 at the Literarische Colloquium Berlin, will enjoy an exclusive opportunity to hear a live performance by Solo & Indrė, the acclaimed project of the Lithuanian singer and kanklės (zither) player Indrė Jurgelevičiūtė and the Senegalese kora master Solo Cissokho. It is the duo’s one and only planned concert in Germany for the moment. The event will also feature a reading of an excerpt from Antanas Škėma’s The White Shroud, one of the best known Lithuanian literature works internationally, accompanied by Indrė’s joint improvisation with Bert Cools, her bandmate from Merope. One more highlight of the evening is the presentation of the German translation of Fish and Dragons, a novel by another Lithuanian writer Undinė Radzevičiūtė, which has already garnered attention at the Leipzig Book Fair. The transcultural world music project of Solo & Indrė came into being quite spontaneously in a Vilnius recording studio in 2015, and instantly yielded an internationally praised debut album. The project was greeted and supported by Songlines, the leading world music magazine, which not only published a review of the album and an extensive introduction of the duo, but also included Solo & Indrė in its influential Songlines Encounters Festival at Kings Place in London earlier this year. According to the reviews of Solo & Indrė’s album in the Songlines and fROOTS world music magazines, the unlikely mix of Baltic and West African folk styles is steeped in real musical communication far from an imposed fusion. 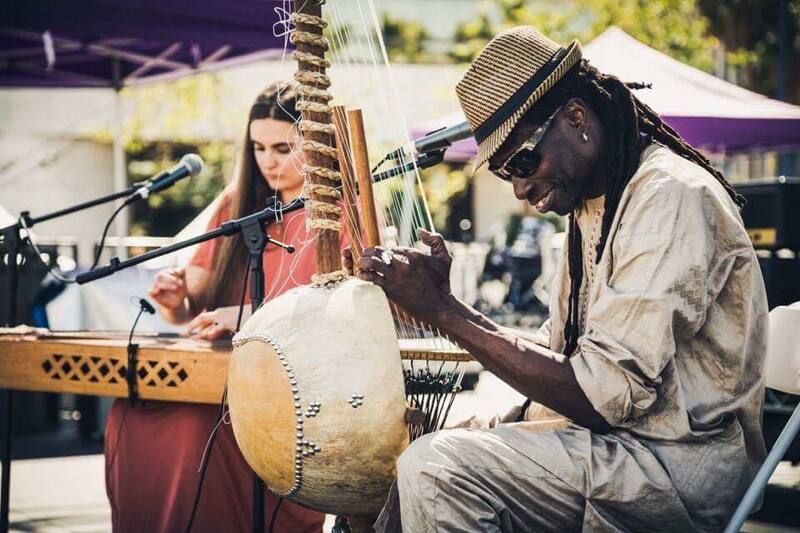 The string sounds of the African kora and the Lithuanian kanklės intertwine so organically that it is difficult to tell where one ends and the other begins. The musicians themselves say that it is music that decides where they go once they put their tunes together and weave them into a single musical story. This past October Solo & Indrė were touring in Belgium, while over the year Indrė has also been actively involved in performing and recording with other international collectives. As part of the experimental world music band Merope, due to release its third album in Spring 2018, she appeared on stage at the Art and Culture festival held in late September in Beijing, China, and played in India’s largest city, Mumbai, in the beginning of the year. The next year will also see the release of new records by two other musical collectives Indrė is affiliated with – the Belgium-based Medieval music ensemble Ratas del Viejo Mundo and the ambient/improv project Book of Air. The Solo & Indrė project was conceived and produced by One Root Music, a world music production, recording and promotion agency based in Lithuania. The concert in Berlin is organized in cooperation with the cultural attaché of the Republic of Lithuania in Germany Rita Valiukonytė and Music Information Centre Lithuania. The project is supported by the Lithuanian Council for Culture and the Ministry of Culture of the Republic of Lithuania.